In order to strengthen maritime intelligence gathering, warning and surveillance, and ensuring security in surrounding Japanese waters, two P-1s will be acquired. Also, one new class of destroyer, one Soryu class and one new class of minesweeper ocean, will be acquired. Japan is an island nation of East Asia which is located in the Pacific Ocean. On its east is the Pacific Ocean and on its west is the Sea of Japan. On the west of the Sea of Japan are South Korea, North Korea, China and Russia, stretching from the Sea of Okhotsk in the north to the East China Sea and Taiwan in the south. Japan is a major economic power and is the world’s third-largest economy by nominal GDP. Japan expanded its empire as a result of its victories in the First Sino-Japanese War, the Russo-Japanese War and World War I. The Second Sino-Japanese War started during 1937 but after the Japanese attacked Pearl Harbour, it merged into World War II in 1941. The war ended with the surrender of Japan in 1945, after the atomic bombings of Hiroshima and Nagasaki. Since then Japan has officially renounced its right to declare war, however, it maintains a modern military force with the fifth largest military budget. Japan is a member of the G-8, APEC, ASEAN Plus Three, and is a participant in the East Asia Summit. Japan has a security pact with Australia since March 2007 and with India since October 2008. Japan has close economic and military relations with the US. The US-Japan security alliance forms the basis of Japan’s foreign policy. Japan has territorial disputes with Russia over the South Kuril Islands with South Korea over the Liancourt Rocks, China and Taiwan over the Senkaku Islands, and China over the EEZ around Okinotorishima. Japan also has serious issues with North Korea over their nuclear weapons and missile programme, and also abduction of Japanese citizens. Being an island nation, it was inevitable that Japan develops a seafaring culture. As such since the third century, Japan has had a long history of Navy and naval interaction with the Asian continent. Imperial Japanese Navy: Mei·ji was the Emperor of Japan (1867-1912) who carried out the transformation of feudal Japan into a modern constitutional state. He continued with reforms to industrialise and militarise Japan to prevent the US and European powers from dominating it. Being an island nation, he realised the importance of a strong navy and formally established the Imperial Japanese Navy in July 1869. The private navies of the Japanese nobles were also merged into the Imperial Navy. Politicians like Enomoto Takeaki employed the Imperial Navy to carry out expansion towards islands south of Japan. The Imperial Navy also tried to acquire blue water capability and continued to grow throughout the early 20th century. After Japan’s defeat in World War II, the Imperial Japanese Navy was abolished by the Potsdam Declaration (the Declaration defined terms for Japanese surrender). Japan’s constitution was formed in 1947, Article 9 of which specified that “the Japanese people forever renounce war as a sovereign right of the nation and the threat or use of force as a means of settling international disputes.” During 1952, the Coastal Safety Force was formed within the Maritime Safety Agency. In 1954, the Self-Defense Forces Law was passed and the JMSDF was formally created as the naval branch of the Japanese Self-Defense Force. The JMSDF has a large fleet and its main task is to maintain control of the nation’s sea lanes and patrol territorial waters. After the end of Cold War, the role of the JMSDF has expanded to the UN Peacekeeping Missions and other international initiatives. A landmark event was the induction of the first Aegis-equipped destroyer, the DD173 Kongo. Aegis system is part of the ballistic missile defence. Until 2008, the prefix JDS (Japanese Defense Ship) was used but after that it was changed to JS (Japanese Ship), probably to indicate a change of mindset from fully defensive to more proactive. At present, the JMSDF operates a total of 114 ships and also carries out joint exercises with many countries including India. Japan, on August 6, has unveiled its biggest warship Izumo since World War II, a huge flat-top destroyer that has invited comments from China and some other countries as it looks like a conventional aircraft carrier. The ship has a flight deck which is about 250-metre-long and is designed to carry up to 14 helicopters. Japanese officials say that it will be employed for anti-submarine warfare, border-area surveillance missions and large-scale natural disasters. Some experts believe that in the future it could be used for fighter aircraft, but is being denied by Japan, as the ship will need major modifications to be used for fighters. 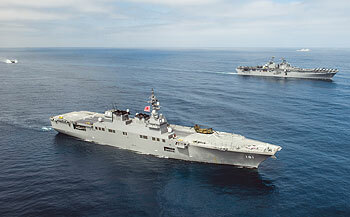 Japan already has two helicopter ships. Japanese Ministry of Defense released its Annual White Paper (AWP) on Defense on July 9, 2013, which is also the first paper issued under the premiership of Abe Shinzo. The paper is high on nationalism and stresses the need to develop Japan’s defence forces so that they are capable of guarding the interests of the nation. The updating or modifying of the existing laws and organisation will also be carried out wherever necessary to meet national security objectives. The paper has stressed on the pre-eminence of the US-Japanese close economic and defence ties as a cornerstone for fulfilling their security needs. Japan’s security environment is effected by various factors including conflict between nations which at times becomes increasingly serious. Japan feels that many countries around its neighbourhood are yet to implement major changes in their security environment which were required after the end of Cold War as compared to Europe. By this, it is implied that Europe has almost united and there are negligible security concerns amongst its nations. Divided Korea is one such example. Countries like China and North Korea lack transparency in their national and international affairs. There is uncertainty in the settling of territorial rights and unification. Meanwhile, they are modernising their military capability, thus keeping the region on the edge. Over the past year, North Korea has taken provocative actions like firing of missiles purported to be satellite launch and carrying out nuclear tests. China has rapidly expanded and intensified its activities in the waters and airspace surrounding Japan including intrusion into Japan’s territorial waters and space. Russia continues to intensify its military activities. The AWP thus infers that the security environment around Japan has increasingly grown severe. The United States: Meanwhile in its new defence strategic guidance, the US has emphasised a rebalance towards the Asia-Pacific region in its security strategy as well as strengthening its existing alliances in the region and expanding its networks of cooperation with emerging partners. Japan still feels that in spite of China becoming more powerful, the US will remain the most influential country in the international community in the future. However, due to high economic growth in recent years in countries such as China, India and Russia, there is likely to be international influence of these countries which points towards multi-polarity. China: China’s spectacular economic and military growth has made it a major force in the regional and international arena. China has not clearly spelt out its future strategic vision for which it is expanding its military might so rapidly. Its decision-making process in military and security affairs is also not sufficiently transparent. China has also been rapidly expanding and intensifying its maritime activities especially in the waters and airspace around Japan like a Chinese naval vessel directing its fire-control radar at a Japan Maritime Self-Defense Force (JMSDF) destroyer in January this year. In addition, Chinese aircraft and surveillance ships have intruded into Japanese territorial waters and airspace. Chinese naval forces consist of three fleets with approximately 970 ships (including approximately 60 submarines). The Chinese Navy has introduced Kilo class submarines from Russia and is actively constructing new types of domestic submarines in order to enhance its submarine force. Additionally, the Navy is increasing surface combatant ships with improved air defence and anti-ship attack capabilities, large landing ships and supply ships. China has also acquired its first aircraft carrier. In view of these maritime developments, it is believed that China is trying to build blue-water capability along with near sea defence. The AWP thus stresses that Japan needs to pay utmost attention to China’s maritime activities. North Korea: As mentioned earlier, North Korea has been carrying out provocative actions against Japan. 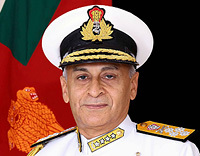 Apart from possessing nuclear weapons, its Navy has about 650 ships which chiefly comprise small naval vessels such as high-speed missile craft. It has about 20 Romeo class submarines, 70 midget submarines and 140 air cushioned landing craft. Russia: Russia is in the process of building its economic power so that it can become a country with influence due to its new economic, cultural and military might. It is also modernising its military power and especially it’s naval and air forces. In the Far East too, Russia continues active operations of its naval vessels and aircraft, conducting large-scale exercises in the region. For this, Russia’s Pacific Fleet is stationed and deployed from its main bases in Vladivostok and Petropavlovsk. The fleet comprises approximately 240 ships including about 20 major surface ships and 20 submarines (15 of which are nuclear-powered submarines). South East Asia: This region has many destabilising factors including the territorial dispute over the South China Sea, ethnic minority issues, separatist and independence movements and Islamic extremist groups. There are also incidents of piracy which hampers the safe movement of merchant ships. Humanitarian aid and disaster relief is another aspect which requires attention due to tsunami and earthquakes. To counter these problems, countries of South East Asia are working to build adequate military forces not only for traditional national defence but also to address new security issues such as antiterrorism and piracy. Asia-Pacific region: Due to the factors mentioned above, the security environment in the Asia-Pacific region has increasingly grown severe. Thus the AWP has concluded that the presence of the US military remains extremely important for achieving stability in the region. Japan and other countries, such as Australia and South Korea, have established bilateral alliances and friendly relations with the US, and have allowed the stationing and deployment of the US forces in their territories. The US military has also recently taken measures to further strengthen its presence in the region. All these measures are primarily meant to counterbalance China and North Korea. Defence capabilities are the nation’s ultimate guarantee of security, expressing Japan’s will and capacity to defend against foreign invasions, and they cannot be replaced by any other means. Cooperative efforts as a member of the international community which implies treaties and alliances with like-minded countries. In the Asia-Pacific region, maritime security dialogue frameworks in the form of the ASEAN Regional Forum (ARF,), the ASEAN Defence Ministers’ Meeting (ADMM-Plus) and the Inter-Sessional Meeting on Maritime Security (ISM-MS). Under the Constitution, Japan has adhered to its Basic Policy for National Defense, which was adopted in 1957 with the objective of preventing direct and indirect invasions of Japan. In addition, the basic policy lays down additional objectives like supporting the activities of the United Nations; establishing the foundation necessary to ensure a stable quality of life for the people, boosting nationalism and guaranteeing the nation’s safety; progressively developing efficient national defence capability and dealing with foreign invasions of Japan based on security arrangements formed with the US until the United Nations is able to effectively prevent the same. Since 1977, Japan has developed the National Defense Program Guidelines (NDPG), which lays down the basic policies for Japan’s security, the security environment surrounding Japan and basic guidelines for the upgradation of Japan’s defence capability development. 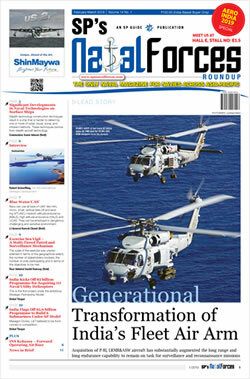 The current NDPG will be reviewed by the end of 2013 and Japan’s Ministry of Defense has also established a Defense Posture Review Commission in January this year. Both these documents provide elaboration on security issues and measures required. The Defense Posture Review Commission, for example, also covers other issues like cyber security, intelligence surveillance and reconnaissance (ISR) capability, joint operations, outer space, defence of remote islands, active maritime security, etc. Defence Budget 2013: The formulation of the defence budget is very interesting as it covers a 15-month period that is integrated with large-scale supplementary budget based on emergency economic measures. It takes into consideration security threats from North Korea, China and the capability required for meeting major disasters. To improve readiness and effective response, better intelligence gathering, warning and surveillance, and communications are required. In order to strengthen maritime intelligence gathering, warning and surveillance, and ensuring security in surrounding Japanese waters, two P-1s will be acquired. P-1 has been domestically developed as the successor to the existing P-3C fixed-wing patrol aircraft. Also, one new class of destroyer, which has better fuel efficiency and ability to detect targets in the water, one Soryu class submarine which excels in evading detection and one new class of minesweeper ocean which represents an evolution in hull material with the conventional wooden structure being replaced with a more durable fibrereinforced plastic version, will be acquired. Japan consists of more than 6,000 islands and its exclusive economic zone covers approximately 4.47 million square kilometres, which is about 12 times its land area and places it as the sixth in the world in terms of the oceanic area that it controls. Thus it is important for Japan to project itself as an oceanic state and follow a balanced approach between peaceful and proactive development and use of the ocean, and the preservation of the marine environment. The Japanese Government approved in March 2008 the Basic Plan on Ocean Policy, which stipulates the basic policy concerning various measures relating to the oceans with the objective of promoting such measures. This policy is reviewed periodically, the last one carried out during April this year which stipulates international cooperation and contribution to the international community, wealth and prosperity through ocean development and exploitation, shift from a country protected by the ocean to a country that protects the ocean and exploration of new frontiers. The new plan stipulates the force levels required of vessels and aircraft of the Self Defense Forces (SDF), coordination between the SDF and Japan Coast Guard, and anti-piracy operations off the coast of Somalia and the Gulf of Aden. Inspection of foreign ships is conducted by Japan in specific situations in maritime areas surrounding Japan to inspect and confirm the cargo and destination of ships (excluding warships and others) and to request, if necessary, a change of sea route or destination port or place, for the purpose of strictly enforcing the regulatory measures concerning trade or other economic activities to which Japan is a party. These activities are conducted based on the UN Security Council Resolution or the consent of the flag state in the territorial waters of Japan or in the surrounding high seas (including the EEZ). Abe Shinzo, who has come back as the Prime Minister with thumping majority, gives impetus to the capability building of the Japan’s Self Defense Forces by adopting a ‘active defence’ approach rather than a pure defensive approach. Japan is also contemplating of raising a marine corps to complement its Navy, so that disputed territories can be guarded more effectively.